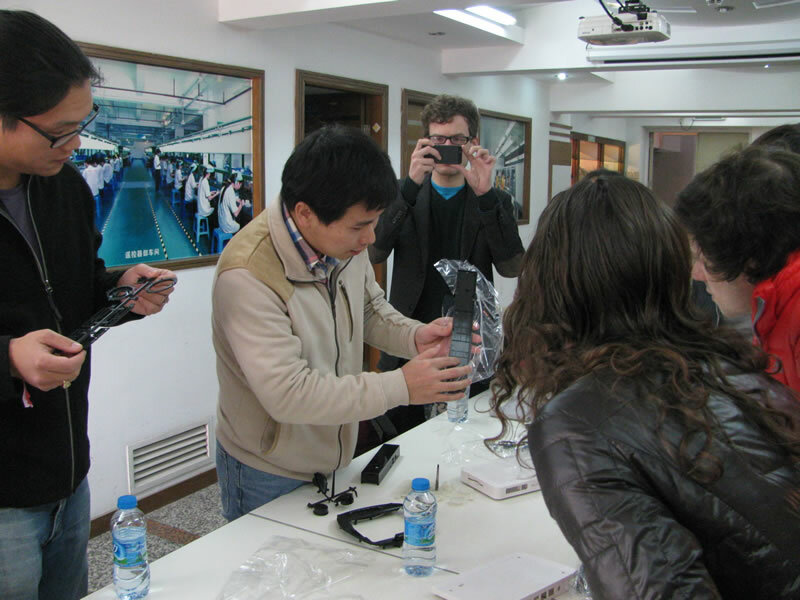 Bunnie (left) with visiting students as they’re shown some of the more subtle aspects of mold and tool design during their China immersion experience. Having a hit product is both thrilling and terrifying. We’ve all seen it play out. A great idea becomes a cool product made in small volume by an excited maker. The snowball of success rolls downhill gathering speed and mass. The maker quickly finds he can’t keep us with demand. SPLAT! The large snowball runs into some immovable object. At this point a regrouping takes place, schedules slip, and costs mount. How can we makers learn to better cope with success? Or better yet, plan for it? One way to avoid problems is through education. It’s in our nature as makers to pick ourselves up after a fiasco, figure out what went wrong, and try again. However this form of education is preceded by failure and hence is not optimal. Another way is to learn by studying others’ successes. As hardware lead on the Chumby and writer/educator on manufacturing in China, Bunnie Huang has plenty of experience to draw upon and lessons to share. From his roost in Singapore, Bunnie has just completed a four-part series on outsourcing to China. He wrote his tutorial for visiting MIT Media Lab graduate students, but as with so much of what Bunnie does, he’s making it available to the world. Getting a quotation: Documentation standards (how to make a BOM). Process optimization: Design for manufacturing and test jigs. Industrial design for startups: Guerrilla engineering on a shoestring budget. How to pick a factory: Building and maintaining partnerships. It’s not yet easy for pro makers grow to larger-scale production. It’s still early days. There’s much to be figured out as the ground swells with innovative new products from the maker community. Bumps in the road are to be expected, but with the generous help of experienced people like Bunnie, we have roadside assistance till the path smooths.